How about a pretty salad as a starter course? If you are worried about not eating dairy, relax : this one will naturally bring calcium to your plate in the form of a condiment called gomasio, a mixture of sesame seeds and sea salt. And if you can’t find it in your store, you can make it yourself. 1. Combine gomasio and oil. Place in the center of plate. 2. Wash cucumber and peel if desired. Wash radishes, cut off both ends. 3. Cut half of the cucumber into slices. 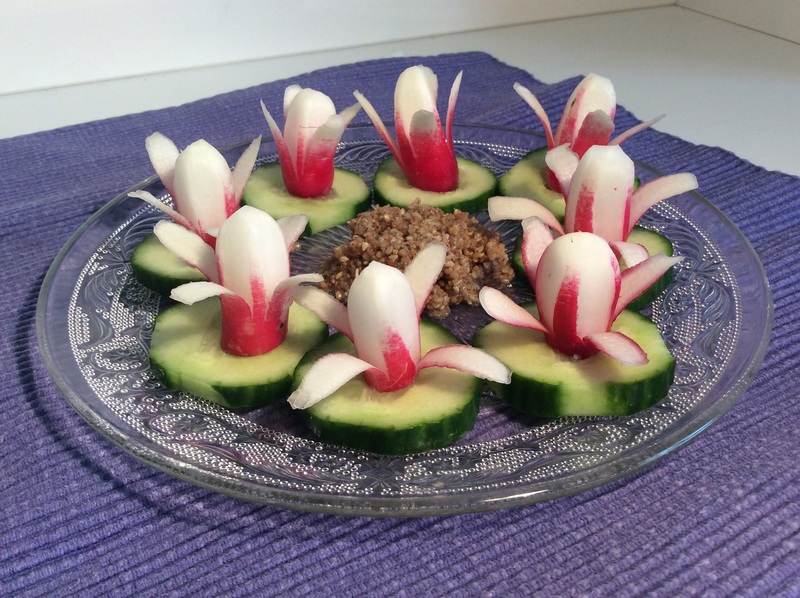 For each slice, remove some of the center, creating a small hole into which you will place the radishes. Place slices around the gomasio. 4. Using a peeling knife, make 4 “flower petals” by peeling each radish about three quarters of its length. 5. 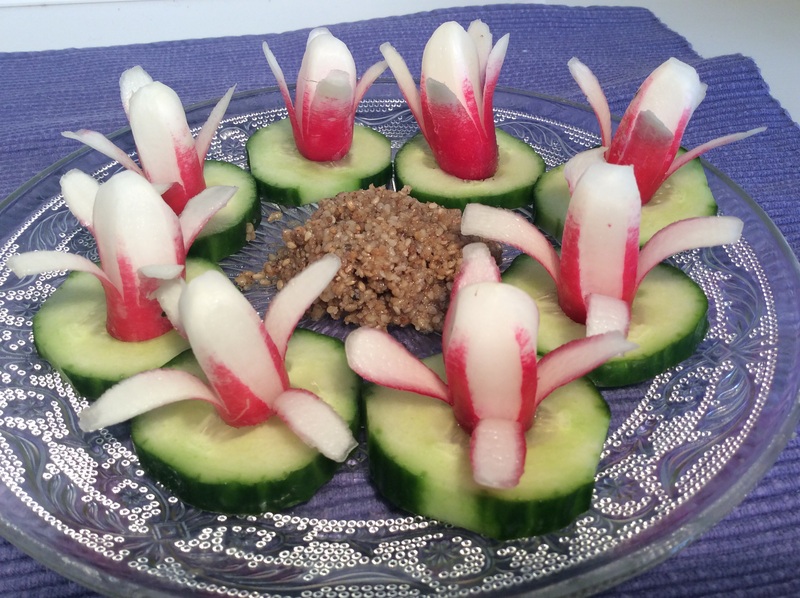 Place a radish at the center of each cucumber slice. What lovely presentation – this will look fabulous at a party! That’s the way – keep learning something new and keep ‘impressing’ – the secret to enduring love maybe..
Got up earlier than you maybe 😄? But wait, that would be by two minutes, not two years!! !